Yes, I like amber. Everyone does, or nearly everyone, and that’s why practically the first perfume released by any niche firm is either an amber or else an amber floral, aka floriental. Ambers are also the big money makers. Serge has got Ambre Sultan, Annick Goutal has got Ambre Fetiche, I Profumi di Firenze has got Ambra di Nepal, and then there’s Ambra di Venezia, and Parfumerie Generale’s L’Oiseau de Nuit. I have barely scratched the surface. Ambers are everywhere, and there is some confusion as to what amber actually is, amber confuses me as well since half the time it seems to be an amalgam of labdanum (otherwise known as rock rose, or Cistus) and vanilla. Annick Goutal’s house has been a gateway for many people who have since become perfume lovers, a lovely retro-rococo gateway, delicately wrought iron wreathed in ivy, but a gateway just the same. It was, along with L’Artisan Parfumeur, one of the very first niche houses, and I remember articles about Goutal in Connoisseur Magazine back in the day, that particular day belonging to the 1980s. Such perfumes as Heure Exquise are now thirty three years old, and have achieved the status of classics. The oddity of body chemistry is one of those imponderables that never cease to amaze me. We all know the scenario by now, how two people can try on the same perfume and it will coalesce into a beautiful flower arrangement on one wearer’s skin, and devolve on the other’s, into a rotten soggy mess. Hard to believe, but it does happen. Anyone who has stood in front of a display of perfumes soon becomes aware that a number of those bottles are going to contain the name “tuberose” on the label. Even if they don’t, as in the case of say, Fracas, they soon announce their tuberose intentions to the world. Even a perfume novice learns to recognize tuberose early on. Tuberose is hard to miss, and once you’ve smelled it, you never forget it. We always got them in February in Rome, silly fluffy little bouquets that made some people sneeze but which delighted others. 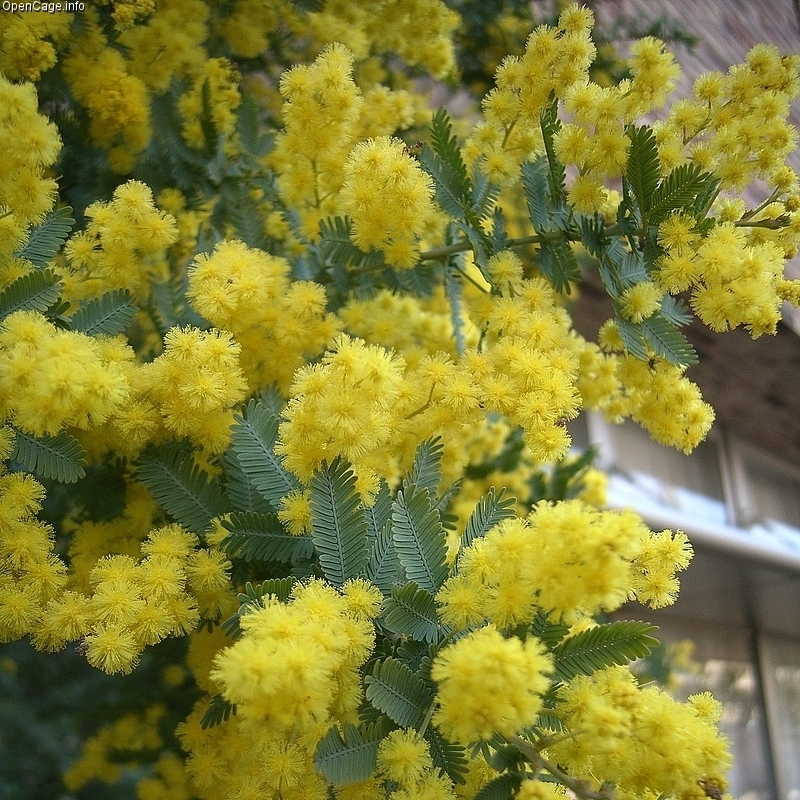 They were so bright and saffron and yellow, after a Roman winter of greige and beige and gray, mimosas in flower markets signaled an abrupt change of season. Green has to do with zeitgeists, I’m convinced. If the spirit of the Age is strictly stay-at-home then green, the entire spectrum of it, will not appeal. Nevertheless, green is the smell that comes swirling in when you open the casements ( if you have casements) – wild, unpredictable, an invitation to the great unknown; in short, an incitement to move the itchy feet all of us have. Only some periods of time, and some people take to this anarchic note which tends to whirl about you and beckon you out the window, dispensing with the perfunctory formality of the front door. Well, I did say it was anarchic.